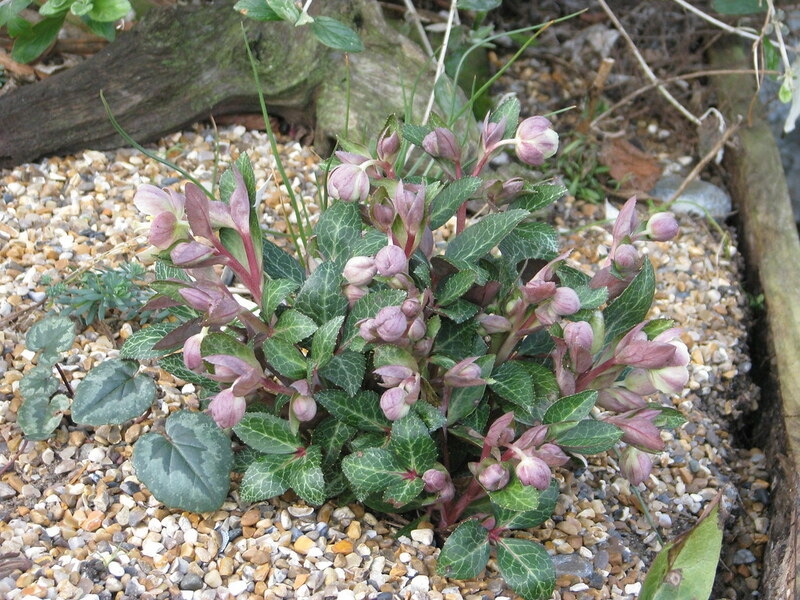 This Balearic endemic dwarf hellebore is normally very hardy or long-lived unprotected in the garden but these are seedlings of a strong and floriferous plant here at the nursery. 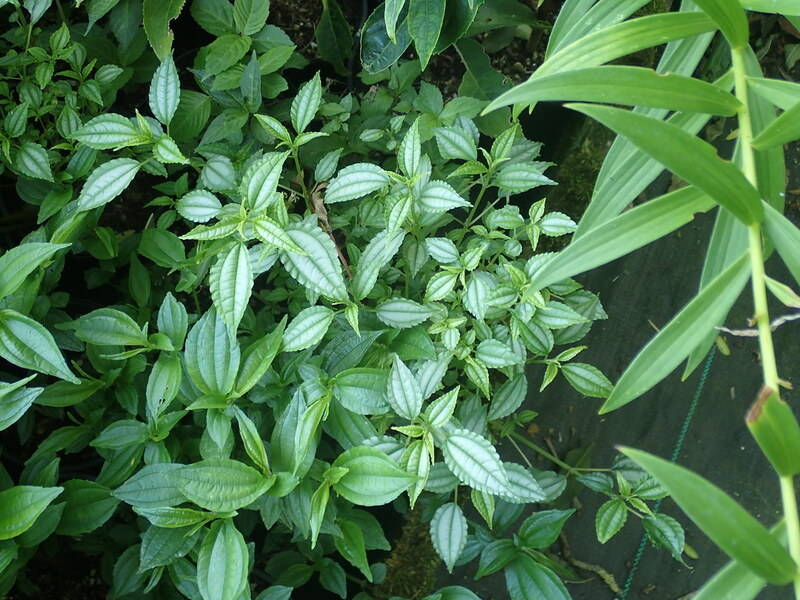 The slight serration in the leaves means there's a good chance that it has some argutifolius in it (which, strictly speaking, would make it a form of sternii) but it is nevertheless a nice small plant with strong silver markings in the leaves and and purple tints in the flowers. 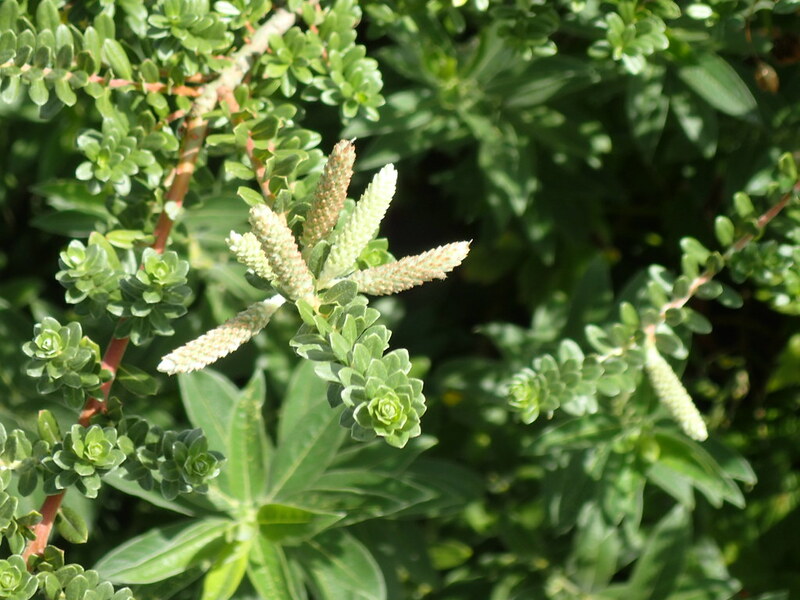 A very unusual willow for its summer/autumn flowering - the catkins are creamy white up to 2ins long on long slender branches covered in small oval grey green leaves. 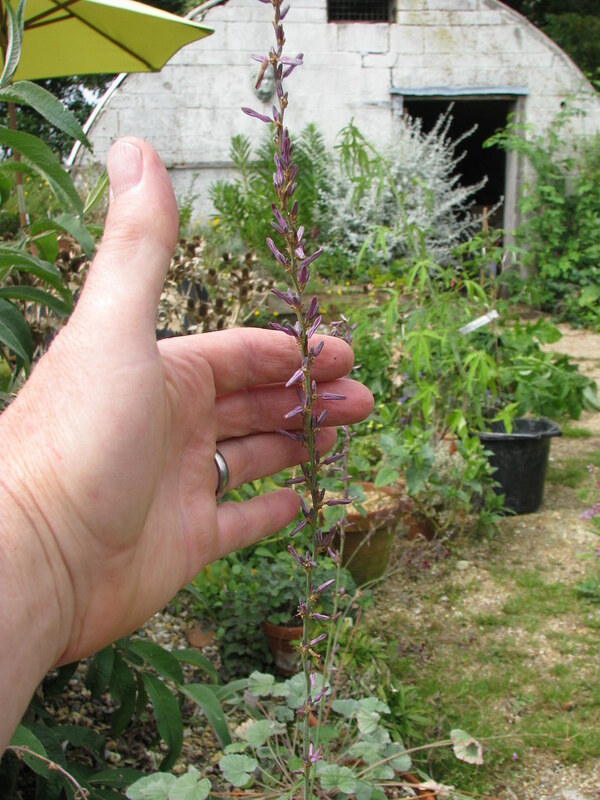 Frankly it looks nothing like a willow, but is an adaptable small to medium shrub suitable for any not-too-dry soils in sun or semi shade. 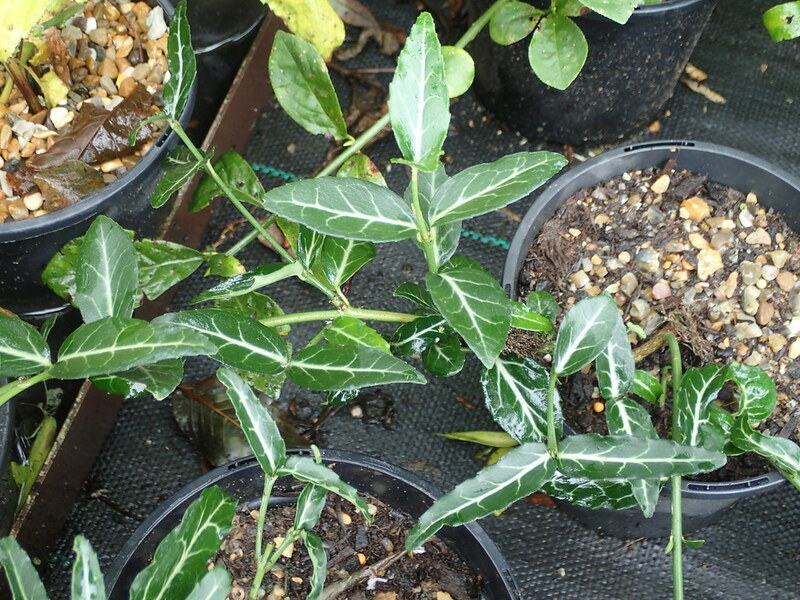 A choicer, shorter plant than the P.atriplicifolia cultivars we normally see and probably a form or hybrid of P.abrotanoides, which is less easy to grow in moist mild climates. 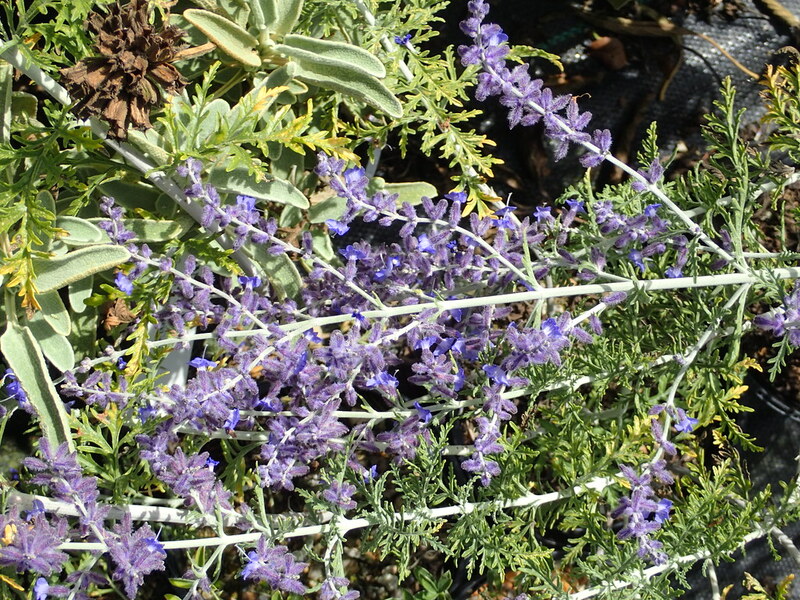 The silver foliage is very finely cut, the stems are white and the flowers are intense blue. I’ve not yet worked out how to get the best from it but a very dry site with maximum exposure is probably the key. Very cold hardy. 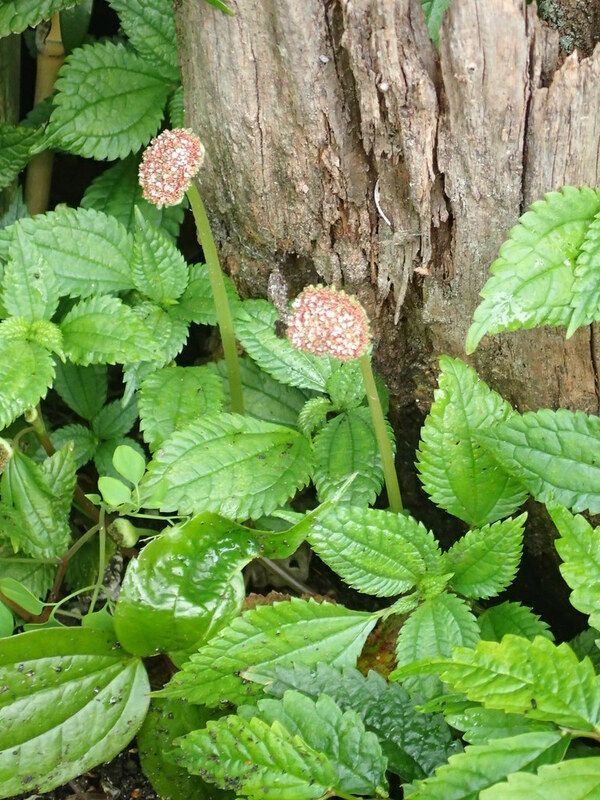 Pilea are probably better known as houseplants but some of the Asian species seem to be hardy in moist woodland conditions. 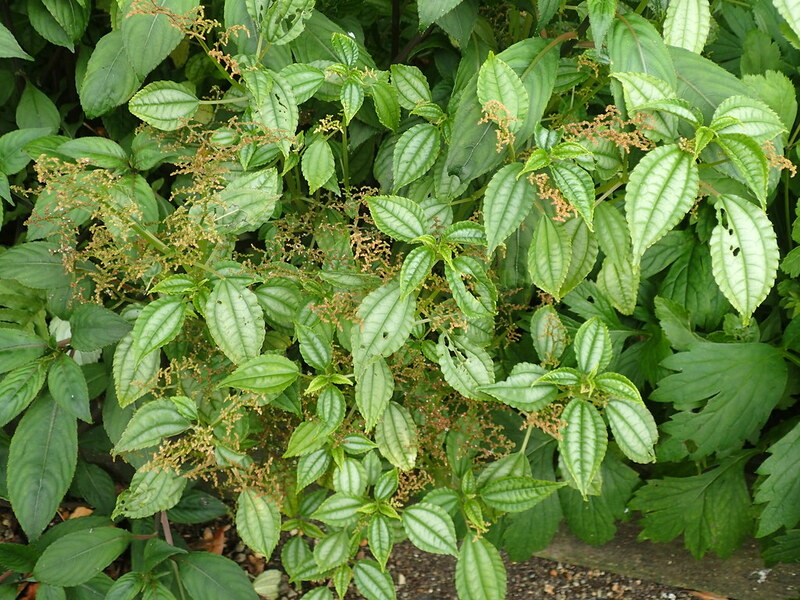 Another luxuriant woodland ground-cover, more like the tropical P.cadieri with serrated, silver splashed leaves. 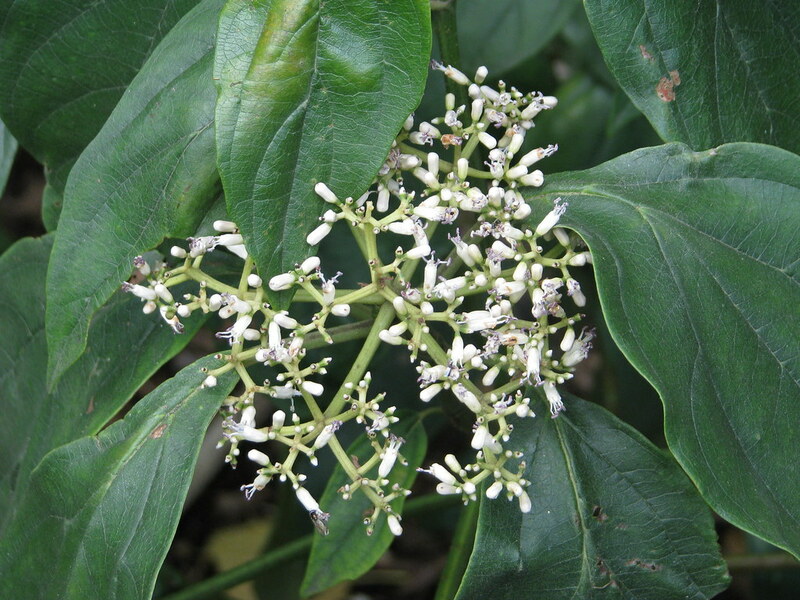 A low bushy woodlander with smooth elliptical fresh green leaves with three prominent veins, and branching sprays of tiny creamy flowers. 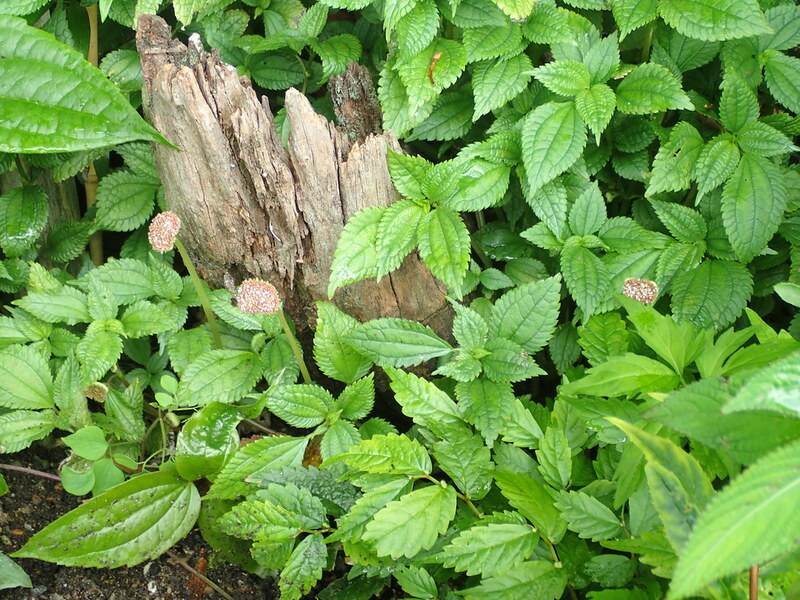 A peculiar little woodlander – a member of the nettle family (but non-stinging) making a fresh green ground-cover. 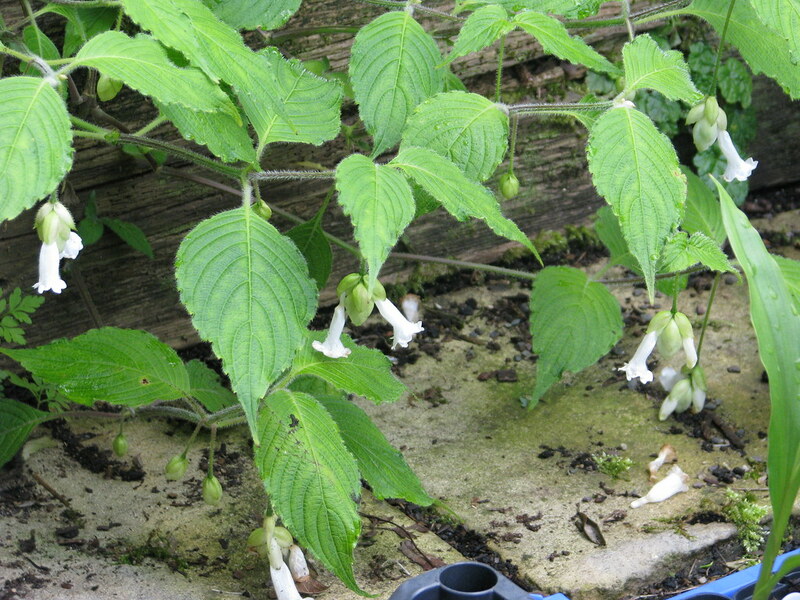 The flowers are individually tiny but gathered into pale fruit pastille-like heads, reminiscent of a Dorstenia. More of a curio than a great beauty but I really like it. 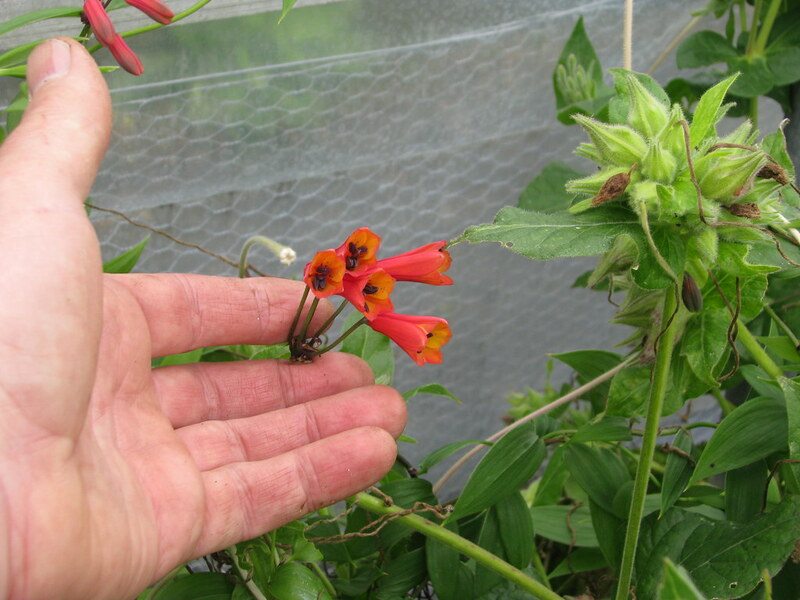 There seems to be some confusion about exactly whether caldasii is in cultivation but with funnel shaped orange and red flowers this appears to be something very similar. 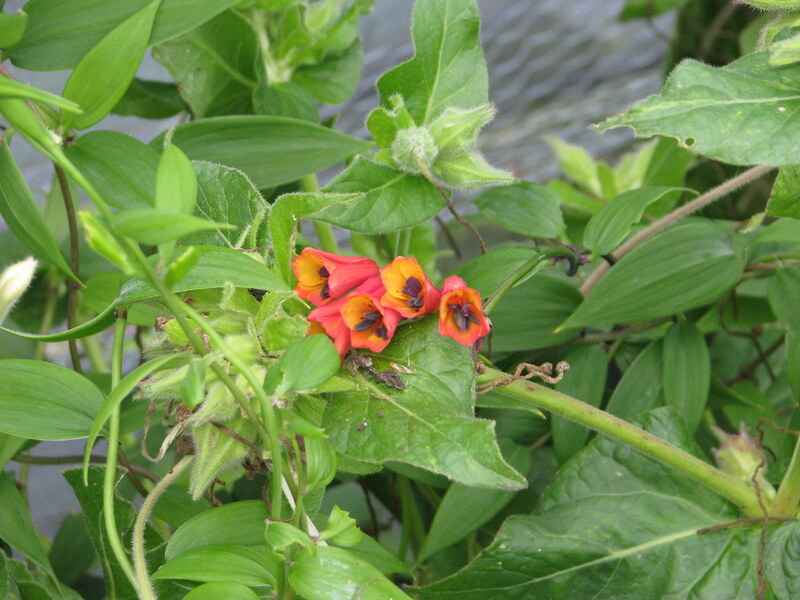 The inner petals are orange/yellow, the outer are coral red. 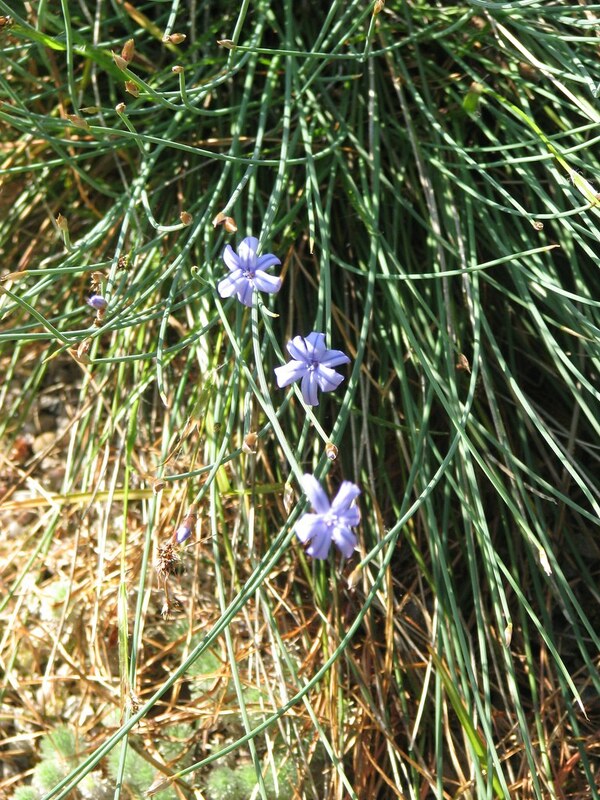 There are no other markings but the black anthers are prominent. 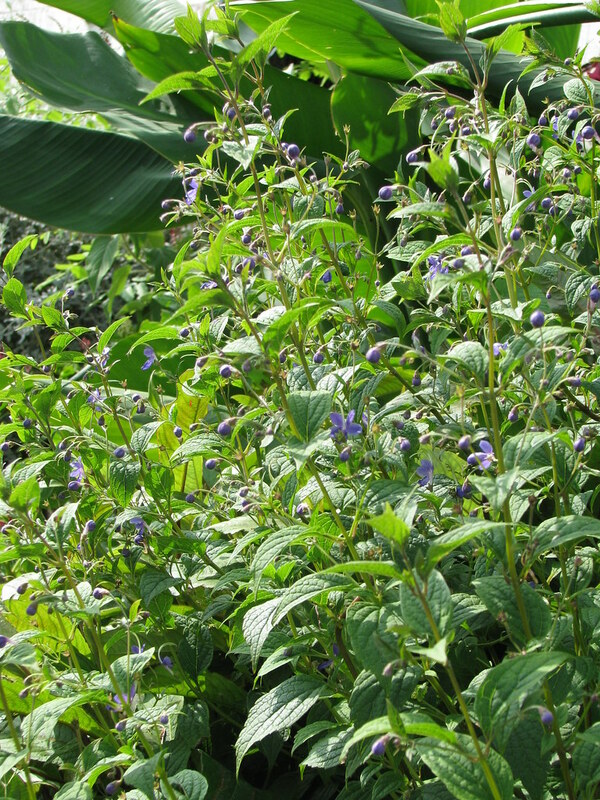 Untried outside, but like many Bomarea, the roots go so deep that they are unlikely to freeze in a normal UK winter. 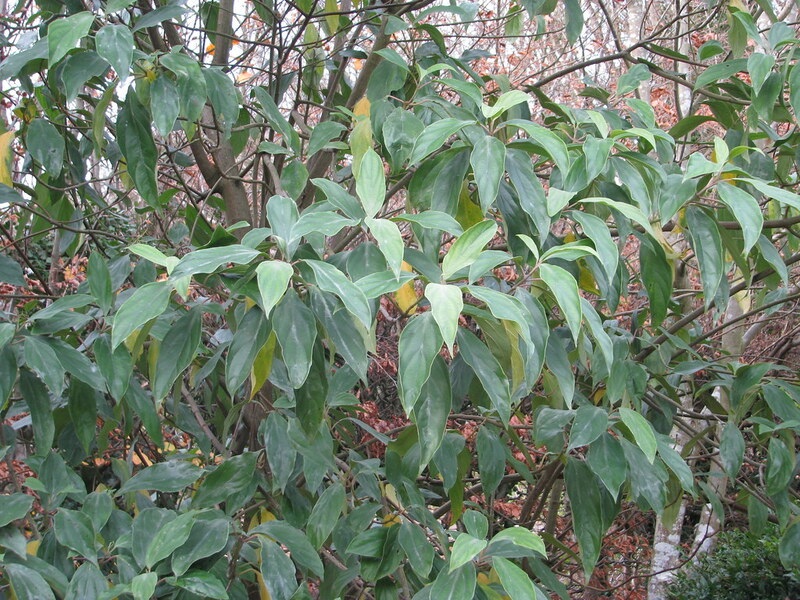 Climbing to about 2m, and dying down in winter. 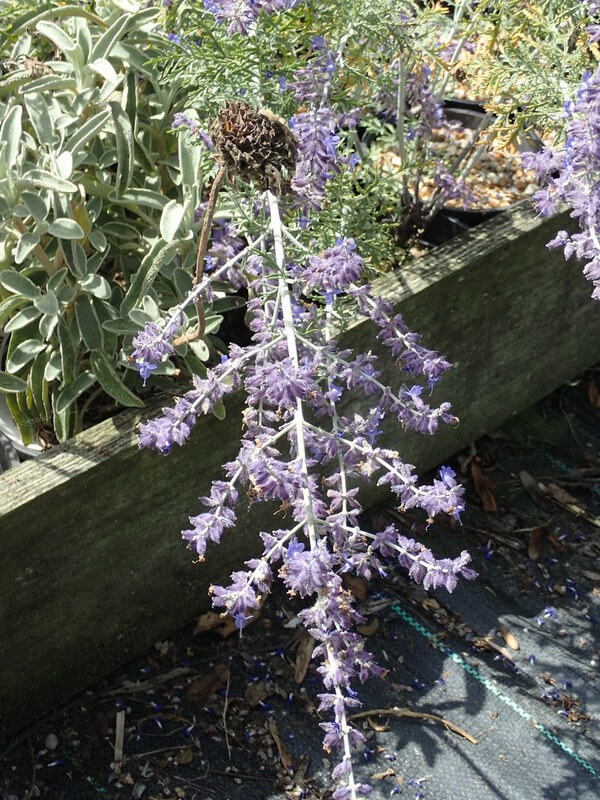 A really nice change from the better known upright purple flowered species – this one trails over the ground and is seen at its best in a shady raised bed (or a hanging basket? Why not?) 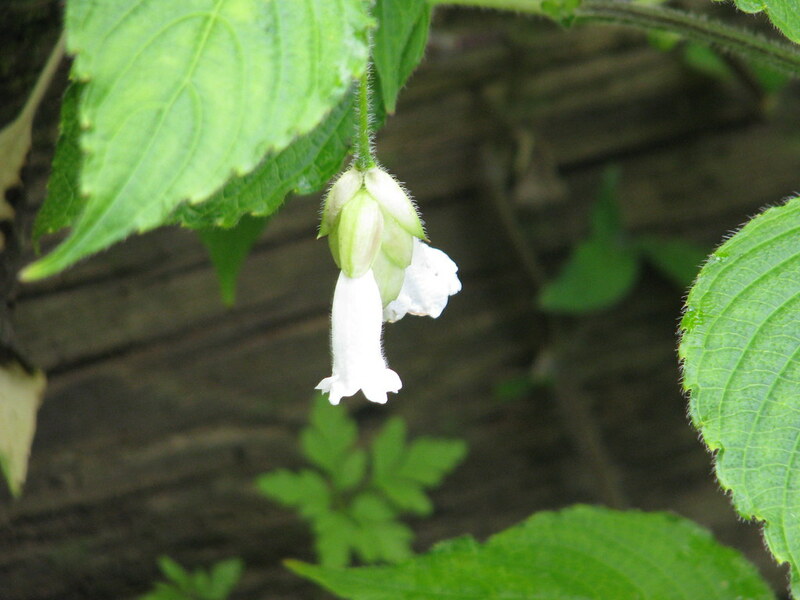 with it’s pure white, hop-like inflorescences dangling over the side. Hardy so far here and unusually classy. 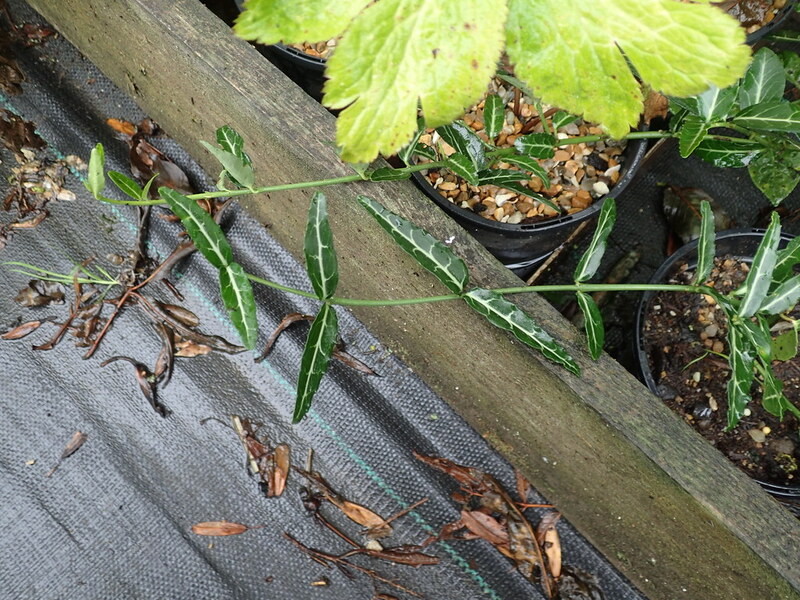 Very different to other forms of fortunei in cultivation – this is a creeping/climbing plant with relatively narrow dark green leaves, the veins picked out in white. 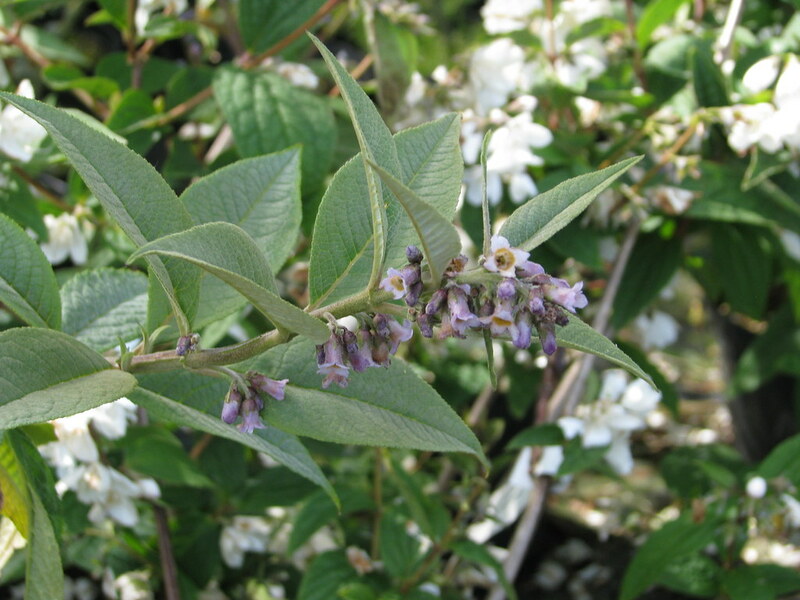 Pronounced Cohoonia, a very striking and exotic species, hardy and easily grown in a sunny, well-drained but not parched situation. 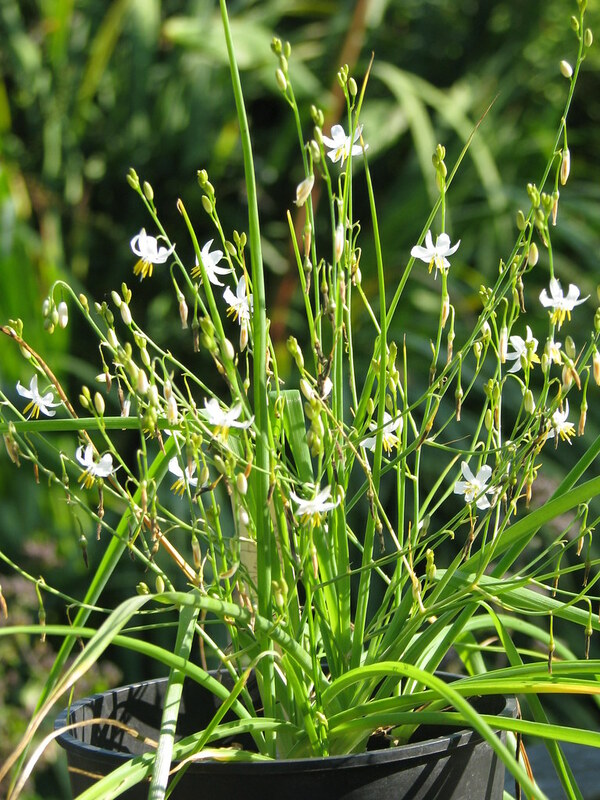 Stems may die back during a hard winter but grow back during the summer in time to flower in the autumn. Flowering relatively late, this species can be shy flowering if it does not get enough sun or if there is an early frost, but well worth persevering with. 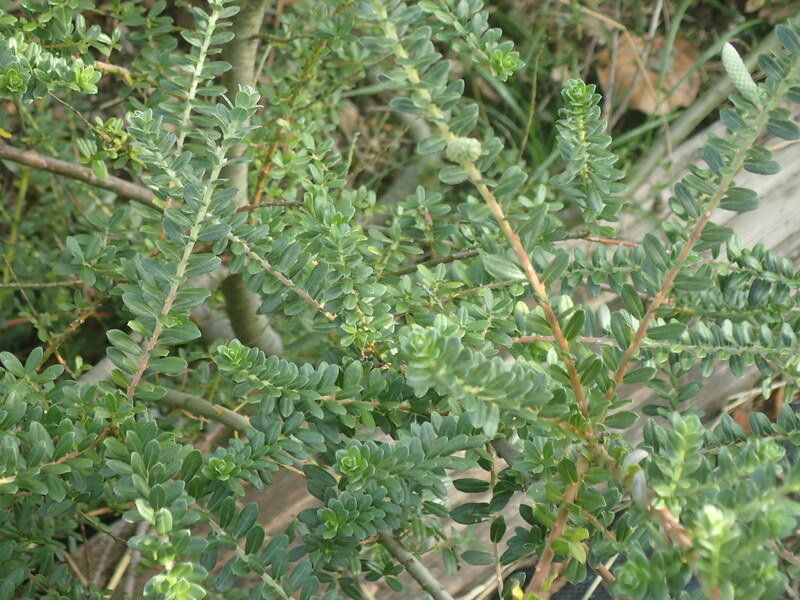 A lush green upright bush, dying down completely in winter. 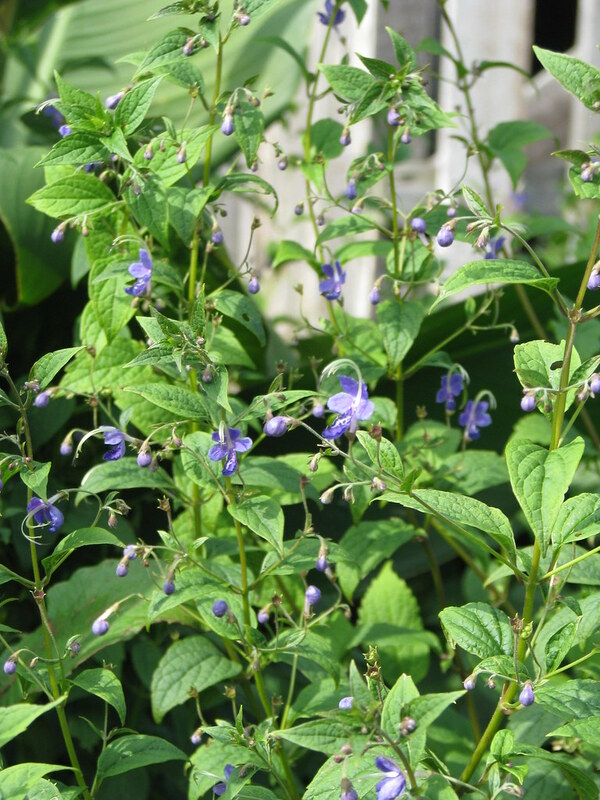 The late flowering is the same but the flowers themselves are larger, rich blue, and much more interesting. 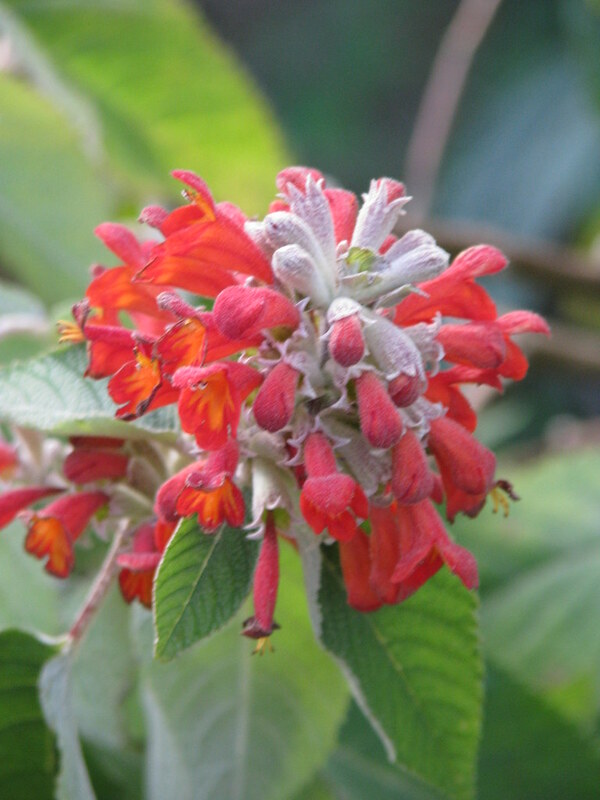 Another purveyor of rare plants describes the flowers as merely ‘harmless’ which I think is rather a shame. They’re not huge or especially plentiful, but they are jolly pretty. 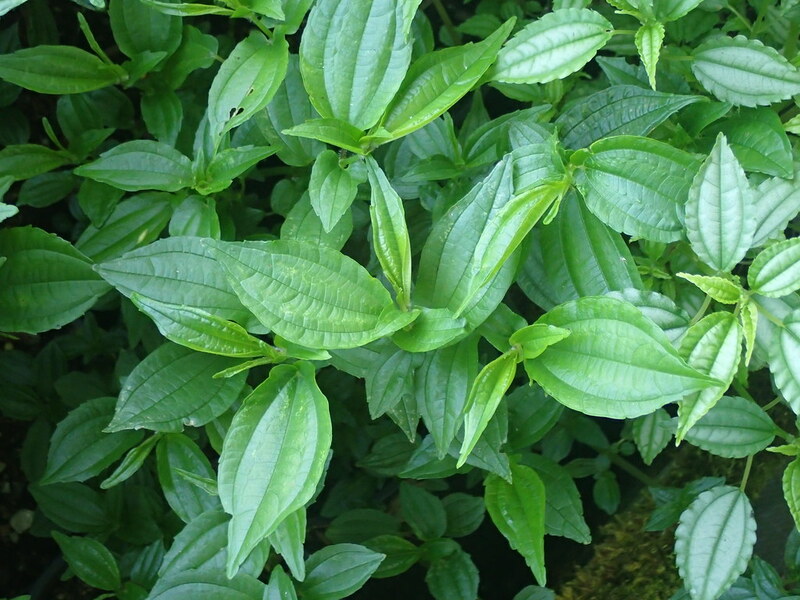 Hardy and adaptable. 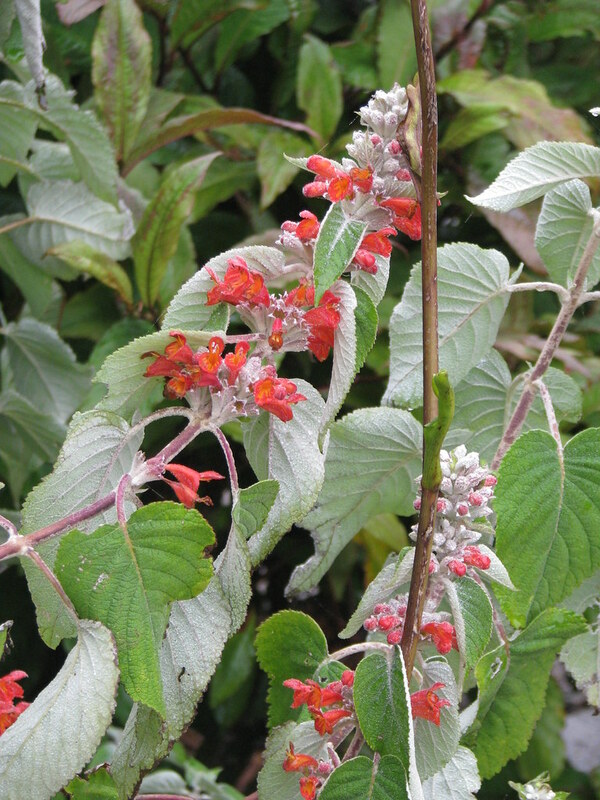 Very different to the familiar grey twiggy subshrubs (C. x clandonensis and the like) and this is now classified under another name - Tripora. 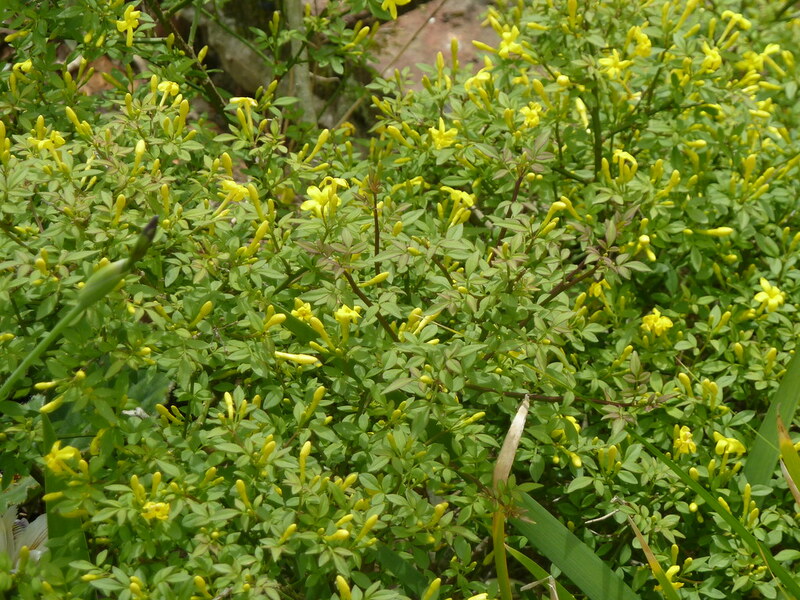 A lovely small shrub with fresh yellow (unscented) flowers in summer and neat little pinnate leaves. Makes a twiggy bush not more than three feet high here. 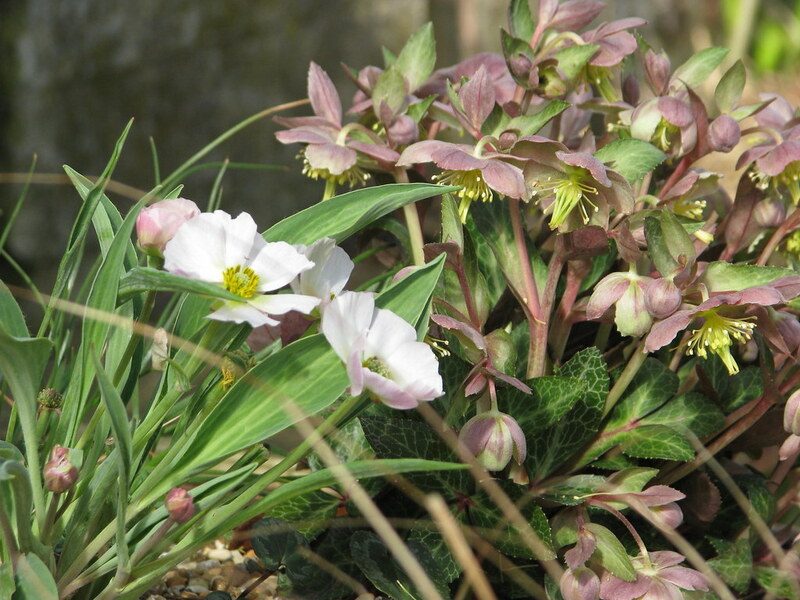 Easy in any sunny spot in the garden where it won't be overwhelmed by boisterous neighbours. I have no idea why this is not very popular indeed. 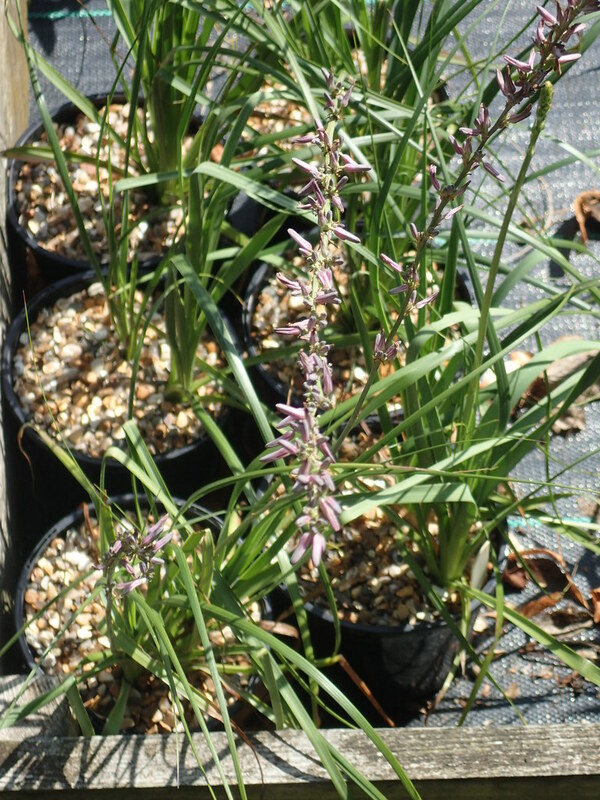 A bit like an asphodel, making a grassy clump, with spikes of narrow violet flowers on slender stems in summer. 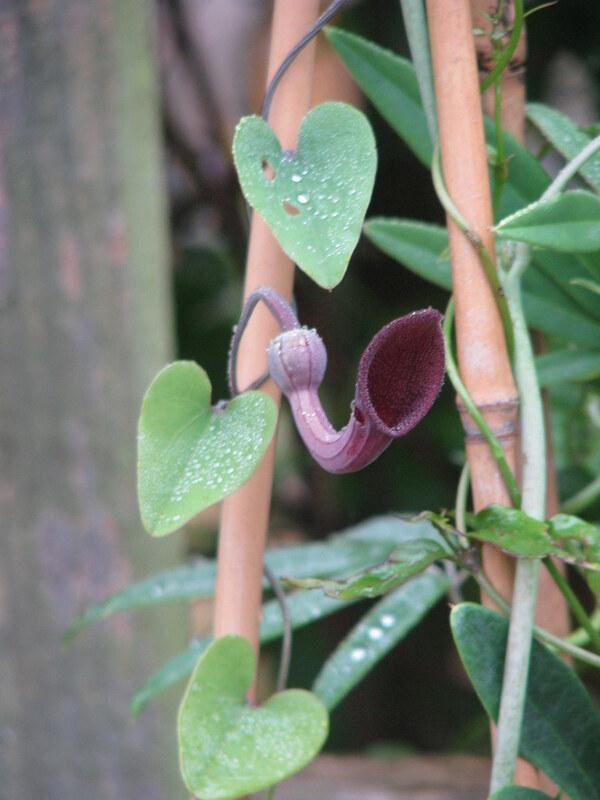 As far as I know it has no close relatives and is a bit of a botanical oddity. 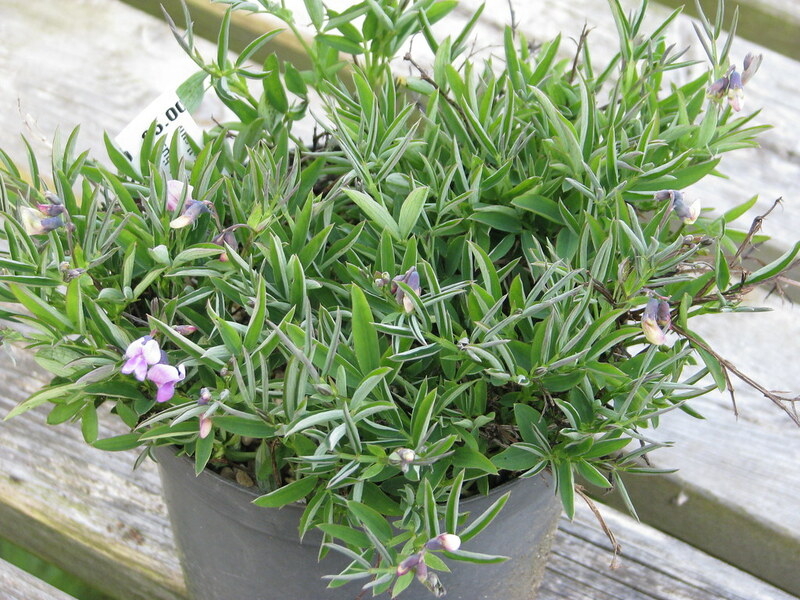 Nice though, in an understated way, and not at all difficult to grow in a well-drained spot in sun. 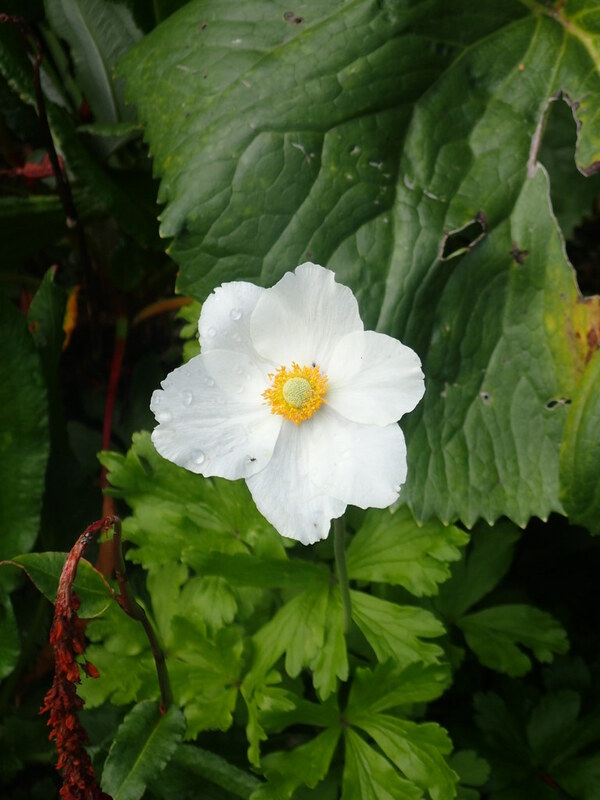 A common and widespread European alpine eventually making large clumps of deeply cut dark green foliage up to about 6ins high, with individual nodding white anemone flowers above. 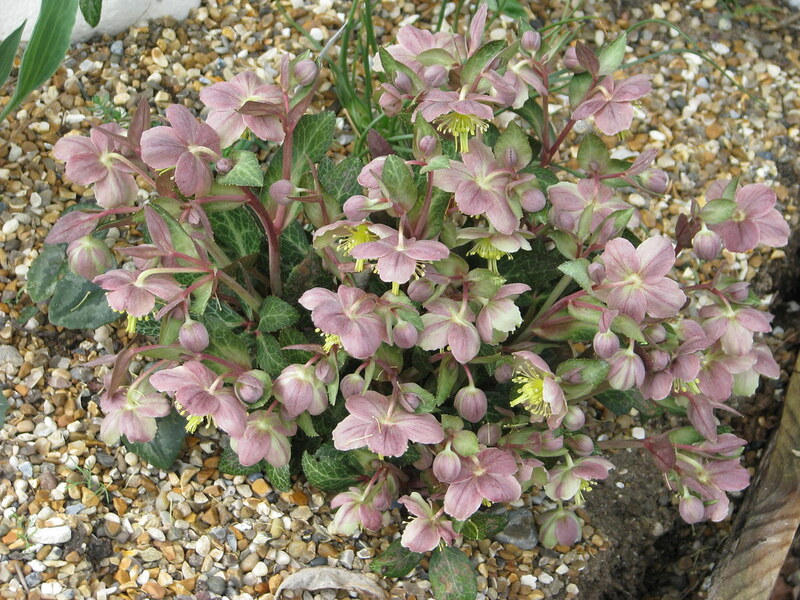 Easy and hardy in a sunny well-drained spot.